Are you headed for Park City, Utah? Whether you’re in the area for business or you’re ready to hit the ski slopes, you want an affordable rental car that’s not only cheap but also reliable. Well, you’re in luck. Let our staff at Affordable Rent-A-Car And Sales help you find just the vehicle to fit your needs and your budget. 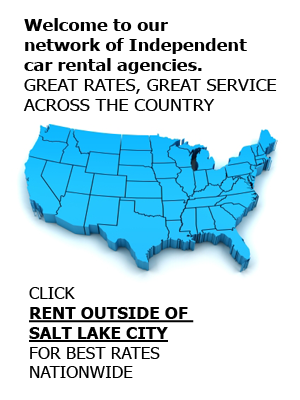 Affordable Rent-A-Car has two locations in Salt Lake City, making it convenient for anyone flying into the area bound for Park City. As a local rental company, we put our customers’ needs first. For most people who walk through our doors, they’re looking for convenience, customer service, and competitive rates. At Affordable Rent-A-Car, we offer all three. From our wide selection of vehicles to our airport pickup service, we’ll make sure that your visit to Park City or the greater Salt Lake City region isn’t hampered by poor car rental service and sub-par vehicles. And the best part is that no matter which vehicle you choose, you can always count on it having a low rental rate that won’t make you go broke. Do you have questions about the rental cars or services at Affordable Rent-A-Car and Sales? Maybe you’d like to get a rental quote or make a reservation? Well, then contact our staff anytime at (801) 266-7368. We’d be glad to field your questions and help you find a rental rate that works for you. You can also book online at your convenience.